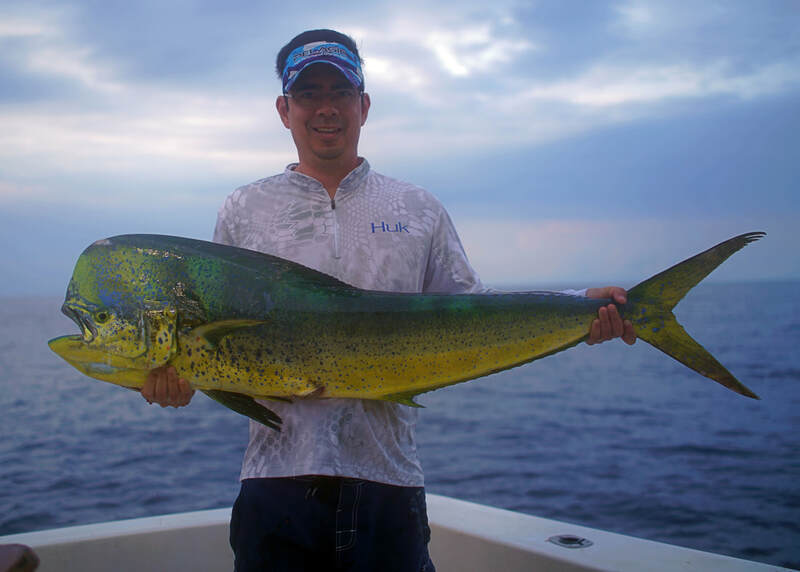 The author's largest Dorado ever, caught while jigging for bait offshore from Puerto Jimenez, Costa Rica on a medium spinning rod. Words and pictures cannot adequately describe the beauty of a fully lit up Dorado in the water. 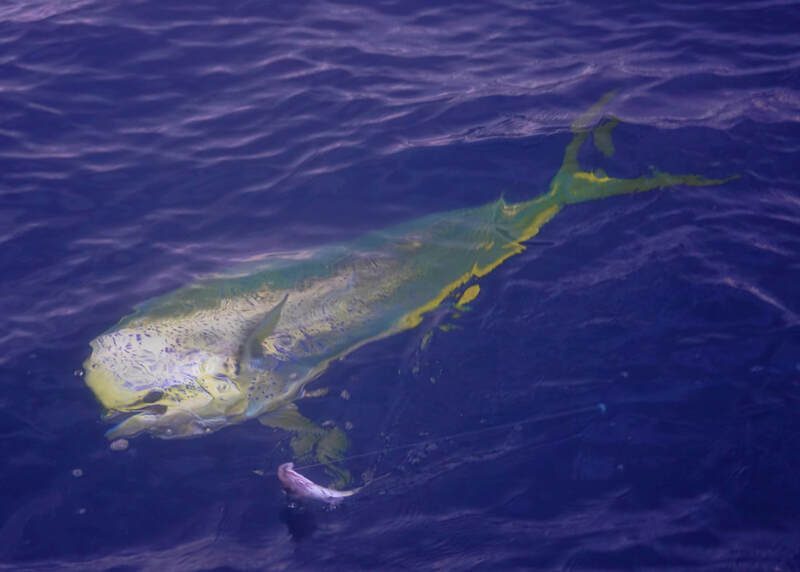 I have seen thousands of pictures of Dorado and I can’t remember one that looked as good as the real thing. 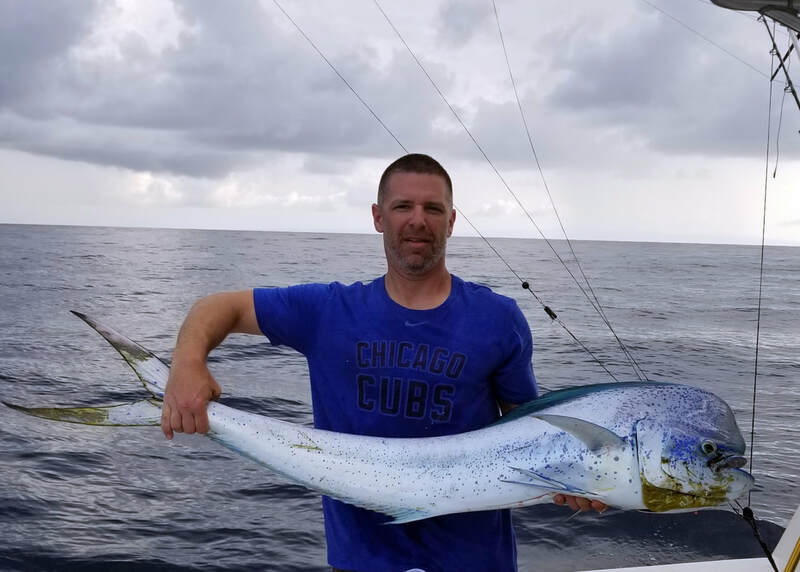 They can change the intensity of their colors based on their mood and unfortunately their color usually fades almost immediately after they are brought on board a boat. By the time they get back to the dock they are usually a dull gray color and you would have a hard time convincing anyone that they are one of the most strikingly colored fish in the ocean. One of my fishing goals in life to get a picture that truly captures their beauty. The ones in the gallery below are as close as I've gotten so far. Males, often called “Bulls”, have a large distinctive flat forehead. They grow bigger than the females, which are called “Cows”. Most fish over 25lbs or so will be male. 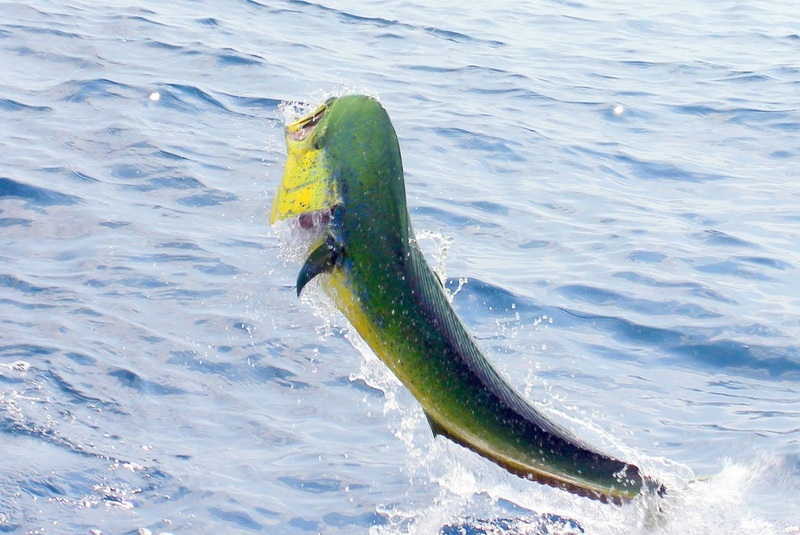 Dorado are very good to eat as their frequent presence on restaurant menus suggests (usually called Mahi-Mahi in the US). As a kid, they were one of the few fish species of fish that I would eat. Any medium weight conventional set up should work fine. A Shimano Trinidad 16N is a good reel for casting. 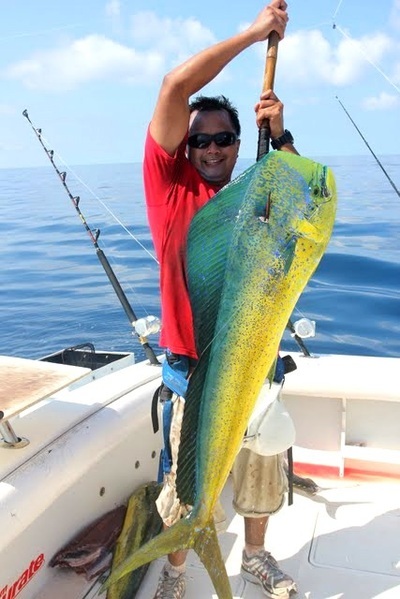 Unfortunately, Dorado are often hooked when trolling with heavy tackle meant for larger fish such as Marlin and so they are totally outmatched and really don't get a chance to show what they are made of. 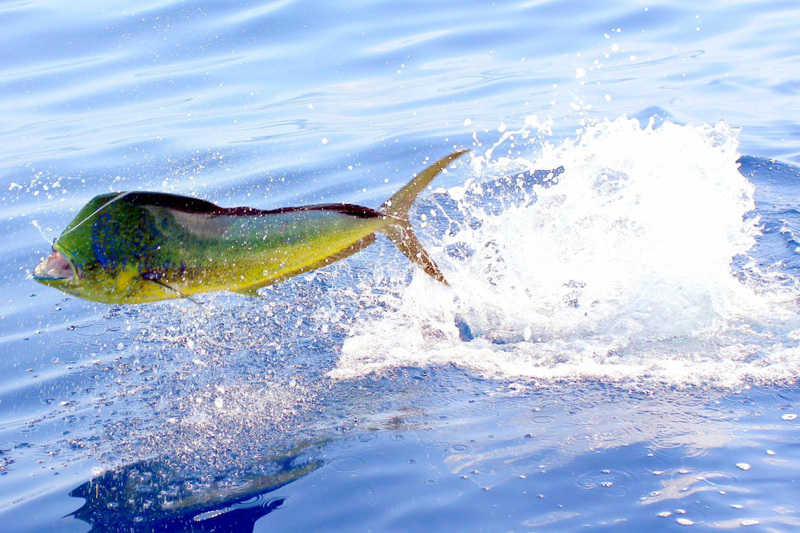 This is one of the great tragedies of sportfishing. 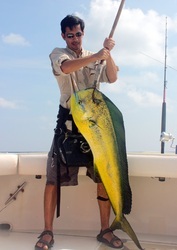 If you hook a 30lb+ Dorado on a lighter saltwater baitcasting rod and reel you are in for quite a fight. 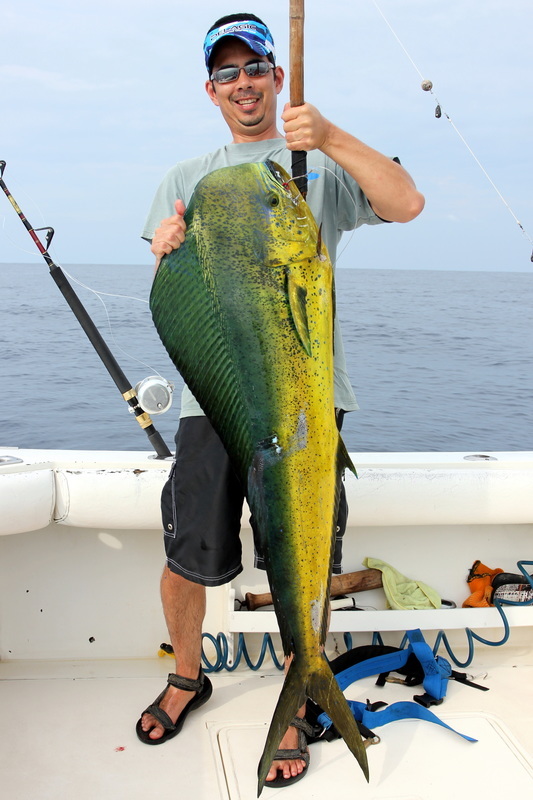 Dorado are an open water species that often associates with floating debris such as logs. 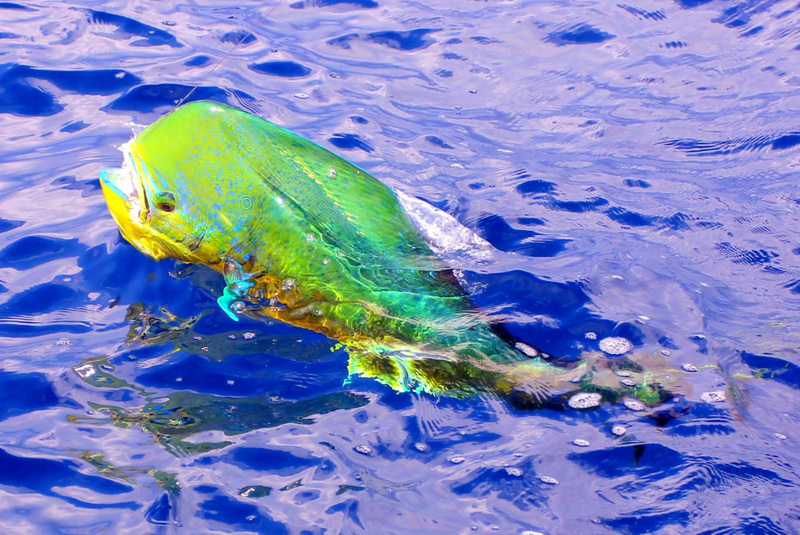 If you are in an area with Dorado any floating object is worth a look as it may concentrate the fish. If you have anything to chum with, that can really get them going. 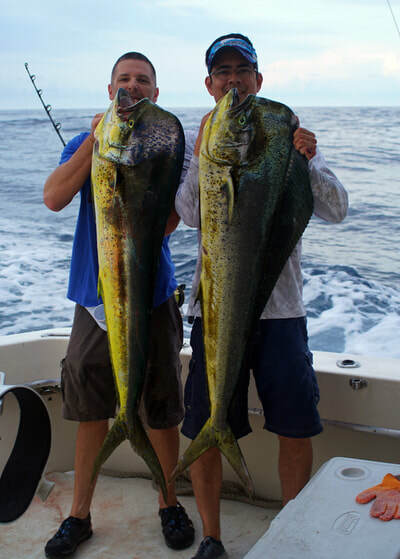 They are considered a pelagic fish but I have seen them caught from shore on rare occasions. 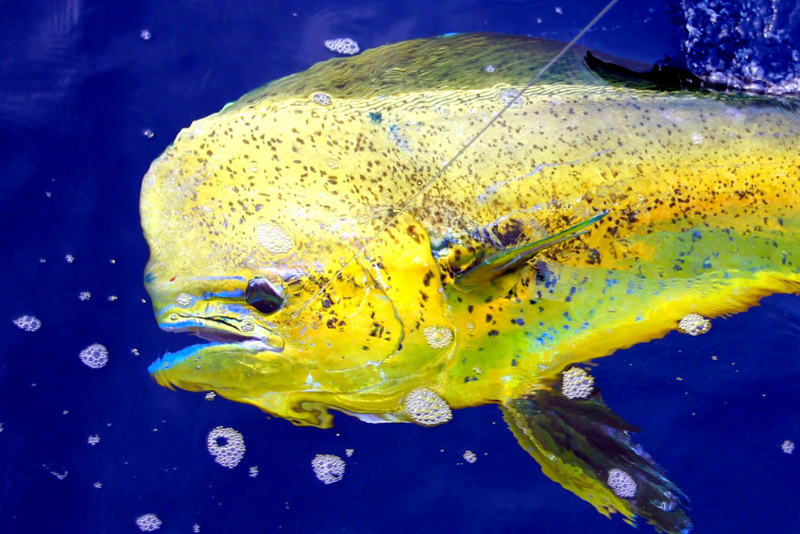 Most Dorado are caught on trolling lures such as rubber skirts meant for Marlin or Sailfish or feathers meant for Tuna. They also hit trolled plugs such as Rapalas. It's amazing how large of a lure they will eat; they are a greedy fish. If Dorado are concentrated in an area, either through chumming or because there is a piece of floating debris, a wide variety of lures may be cast to them. My favorite is a popper, which they will readily eat. If they are fired up they will pretty much eat anything. Whatever you cast to them, make sure you watch out with heavier lures as Dorado jump wildly when hooked and the lure could come flying back at you at a high rate of speed. 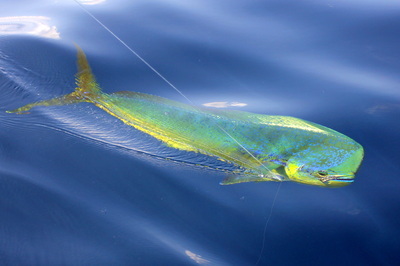 Dorado mostly eat fish so traditional baitfish such as sardines and Pacific Mackerel work well. 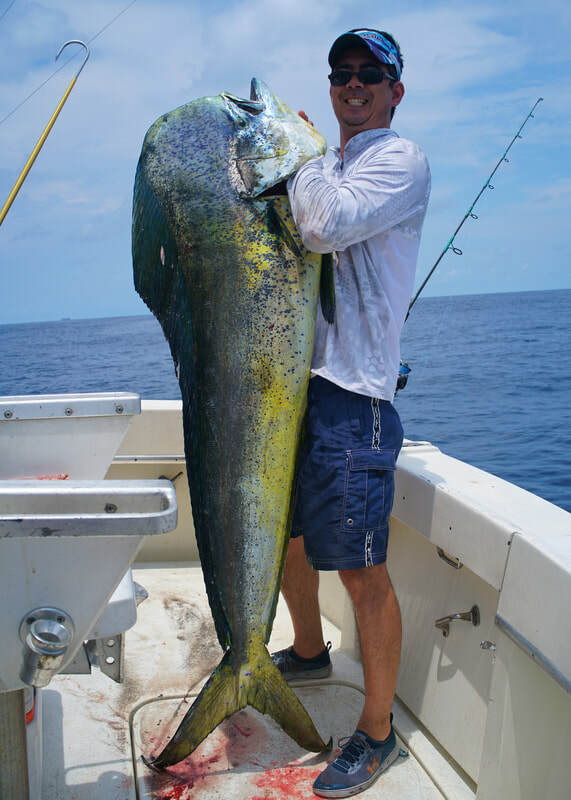 Larger fish will eat larger baits. Dorado have relatively small mouths but it always amazes me how they can somehow still engulf relatively large baits. When they are fired up they will eat almost anything, alive or dead. 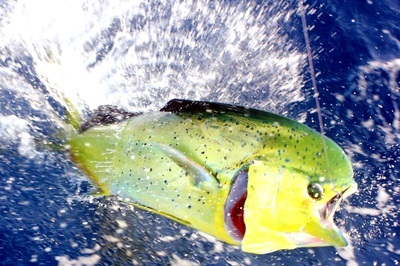 Any tropical location where there is good fishing for other pelagics such as Marlin or Wahoo should have some Dorado. Some world-record fish have been caught in the Cabo San Lucas area so that would be a good bet. 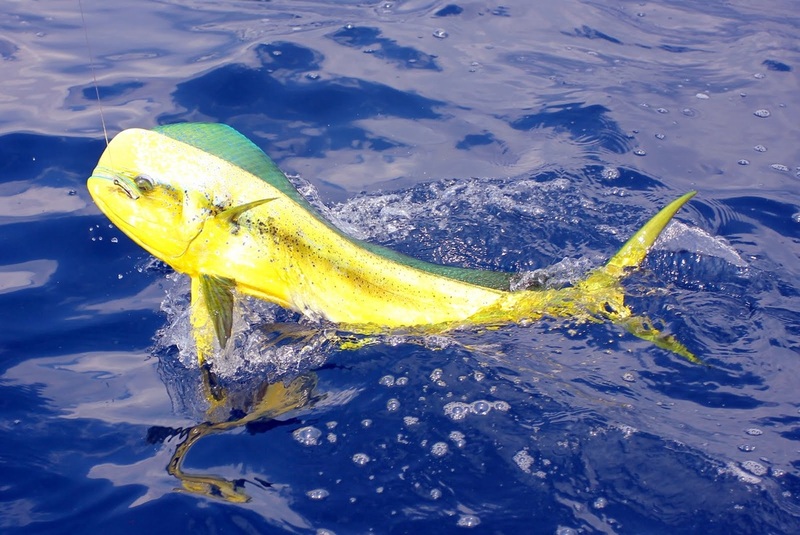 After rain flushes debris in the water is a good time to go Dorado hunting as the debris will concentrate them.